Joe graduated from the University of Tasmania in 2005 with a Bachelor of Information Systems and Bachelor of Laws. 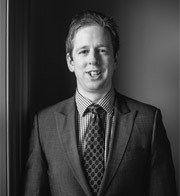 He completed the Graduate Diploma of Legal Practice in 2006 and was admitted to practice as a Barrister and Solicitor of the Tasmanian Supreme Court later that year. He commenced with Abetz Curtis Lawyers in October 2006. Joe practises principally in the areas workers compensation, employment law and commercial litigation. He has also been involved in local government and planning law. He acts for both individual and corporate clients, including local councils and insurers. This has seen him appear in the Magistrates Court, Supreme Court, Fair Work Australia, the Resource Management and Planning Appeals Tribunal, and the Workers Rehabilitation and Compensation Tribunal. Outside of the law, Joe has been involved in the City of Clarence Basketball Club. He has played since 2005, and been an officeholder from 2008 to 2013.